Burgundy lace over burgundy spandex leotard with mesh inset. 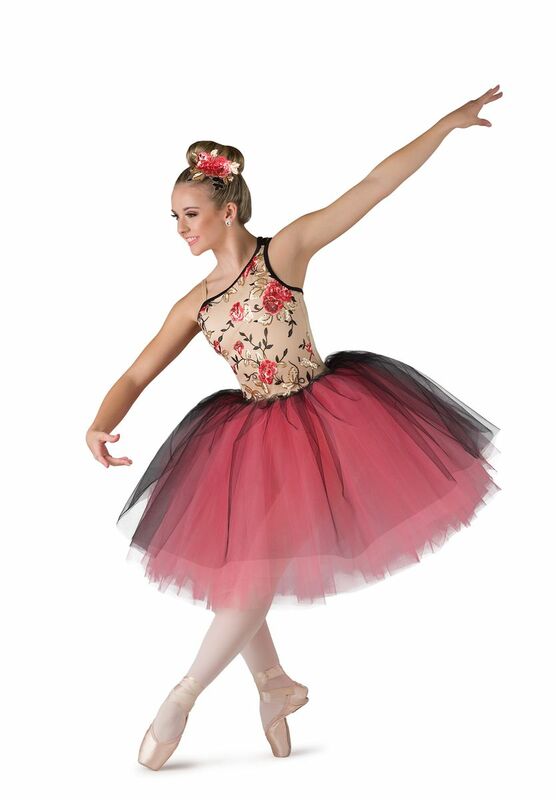 Attached multi-colored tulle euro tutu. Appliqué trim. Imported.